Sociocultural Theory research papers discuss the emerging field within modern psychology that explores how society contributes to the development of an individual. Sociocultural theory is an emerging field within modern psychology, exploring how society contributes to the development of the individual. Developed out of the work of Soviet psychologist Lev Vygotsky, sociocultural theory seeks to understand how one’s participation within groups shapes mental structure. As the individual interacts with others and processes the effects of those interactions, the individual learns. Lev Vygotsky (1896-1934) believed that children develop higher cognitive functions, especially reasoning, as emerging out of their social activity. Essential to this learning was his concept of the Zone of Proximal Development, which held that new knowledge is reliant on both previous learning as well as current instruction. Much of Vygotsky’s work was suppressed in the Soviet Union and unavailable in the West due to poor translations. His rediscovery allowed social scientist to reexamine how individual learning is the product of both adult and peer influence, but on cultural assumptions. All cultures provide for children a basic set of tools that allow them to adapt learning. For example, some cultures may stress note taking, while others emphasize rote memorization. 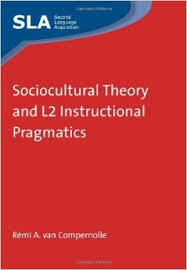 Sociocultural theory is often contrasted with Piaget’s constructivist theories, in that sociocultural theorists will seek out interpretations regarding behavior based on their participation in culturally based activities. Piaget vs Vygotsky research papers examine the two psychologists that profoundly influenced teaching methods for children’s cognitive styles. Jean Piaget Stages - Jean Piaget's theory of development contains four separate stages. Piaget Theories - Piaget became the first scientist to undertake an extensive study of cognitive development. Stages of Intellectual Development - Psychiatrists recognize that intellectual development is a process that individuals undergo throughout their lifetime. Proximal Development research papers examine one of the most influential aspects of Lev Vygotsky's scientific works. Piaget Assimilation research papers discuss Piaget's theory on education and learning, and examine the process of assimilation. Stages of Human Development - One type of Stages of Human Development research paper breaks down the stages of human development from conception to the birth after 24 - 31 weeks. Another may use theorists like Piaget, Vygotsky and Erikson. Paper Masters writes custom research papers on Sociocultural Theory and discuss the emerging field within modern psychology that explores how society contributes to the development of an individual.